Based on the bio-mechanics of the spine, the RAD Roller was carefully designed to create change in the posture safely and effectively. Use it to create movement and free restrictions in the spine, or use it to free up muscle tissue and myofascia. The RAD Roller will help empower people to work on their own bodies to create effective, long lasting change on tissue. One of the things I love about the Peanut and Lacrosse Style Mobility balls: they’re small yet crazy effective. 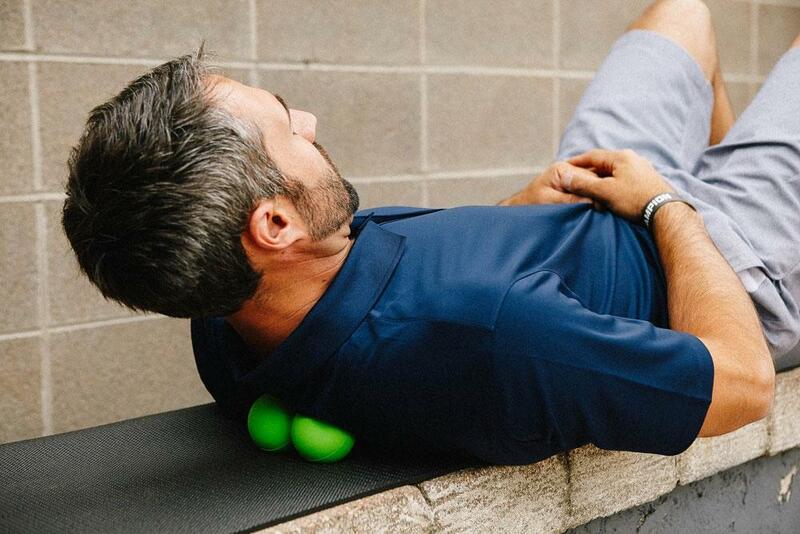 The small size allows you to get into those tight areas you normally wouldn’t be able to with a regular-sized foam roller, and doesn’t force you to hold up your body weight the whole time. They’re also small enough to fit in your bag, making them perfect for travel. 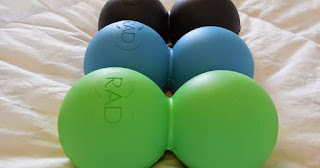 I seriously have bought about a half dozen mobility balls to keep in each bag, backpack, car etc just so I make sure I always have one where ever I am! The best hollow roller I've found. Great for travel because I can strap it to the outside of my backpack or duffle, so it essentially takes up zero space. I like that the surface is formed to the back and spine, I'm not a fan of the half large/flat, half small and spiky. The foam itself is somewhat soft, so it provides adequate cushion, but since it's not overly thick, the roller is still good and firm over the PVC core. I have a couple of rollers (Rumble Roller black) and a couple of other Trigger Point products and this is the one that gets used the most. It seems to have a good balance of firmness to get to most sensitive muscles when the Rumble Roller is sometimes too intense. I like how small and compact this roller is, however the only drawback is the small size when I am looking for alittle more intensity but that is where RAD's new AXLE roller comes in to play. Fantastic for tightness in your back, hips, quads, hamstrings and calves. It hits all of the spots that are really hard to relieve with just your bare hands. Its shape is perfect to protect your spine whilst massaging your back, and also perfect to attack 2 areas at once. For example, it can be used both on your medial and lateral quadriceps muscles at once. It also slides along the ground very easily when you use it, unlike other massage tools, which makes it easy to manoeuvre it. I love the fact that it is made of soft material also, meaning that you can get maximum relief without skin blisters to go with it! These products are stand alone some of the best mobility items I have used. Cost effective, high quality, and they provide great content on how to use them. I believe every person should have a set of mobility balls and a foam roller at the minimum for basic maintenance.